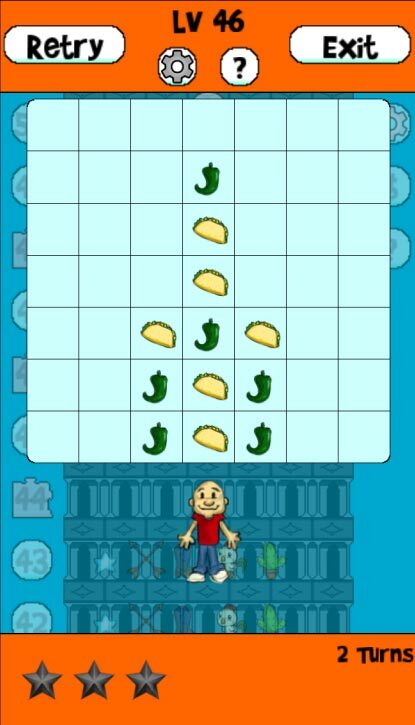 Taco Tower is a chaotic match 3 game for Android and iOS that features powerups from La Lotería, also known as Mexican Bingo. Level objectives can be barrel smashing, simple point targets, or puzzle solving. 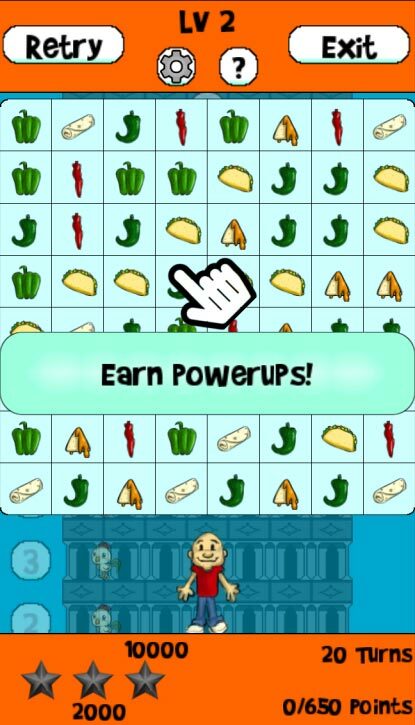 As you progress through the level, you help feed a hungry taco lover who grows fatter and fatter. How fat can you make him? Touch and drag tiles in order to place 3 or more of the same tile in a row to clear them. If you manage to get more than 3 in a row or multiple groups at once or cause a cascade, you will generate powerups! 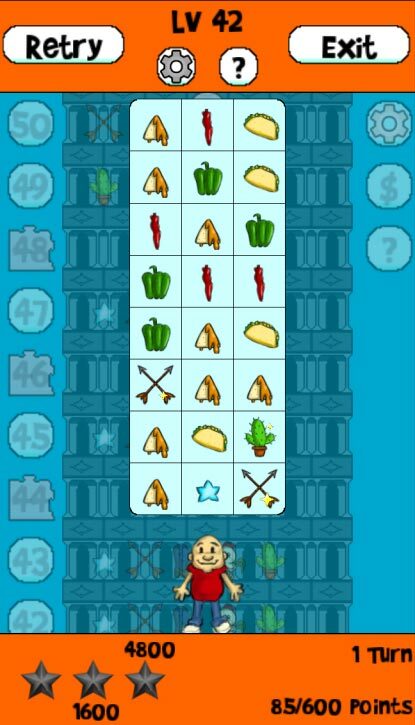 Generating powerups is the key to doing well in Taco Tower, and should be chained together for higher point bonuses. The rooster is most people’s favorite powerup, and flies around the field clearing random tiles. If that tile happens to be another rooster, it causes a chain reaction which can quickly rack up more points and more powerups, which can in turn trigger and create even more powerups in a mad frenzy! 1. The game has 50 free levels, and an additional 100 levels are available for a dollar. 2. Level objectives can be puzzle solving, barrel smashing, or a classic point target. 3. Powerups and obstacles from La Lotería: El Gallo (The Rooster), La Estrella (The Star), La Bota (The Boot), El Nopal (The Cactus), Las Jaras (The Arrows), El Barril (The Barrel), La Maceta (The Flowerpot), and El Sol (The Sun). More will be added based on feedback! Happy Cow Games was founded on February 29th, 2016 and has only 1 employee as of July 12th, 2018. Hopefully one day the company will be self-sufficient! Follow Happy Cow Games on Facebook and Twitter for insight on future releases! 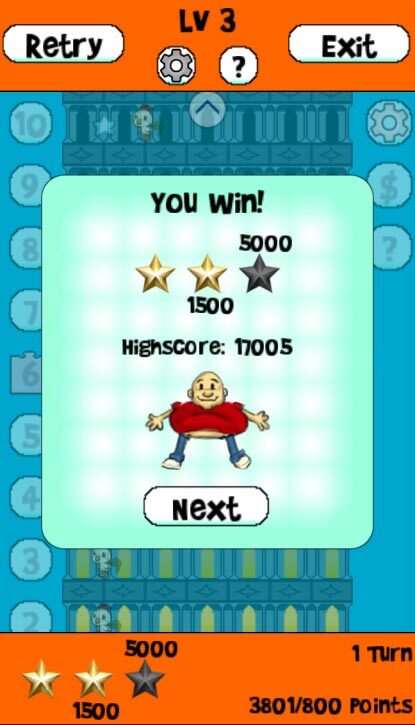 This article was Published by Edamame Reviews, Written by Happy Cow Games LLC.